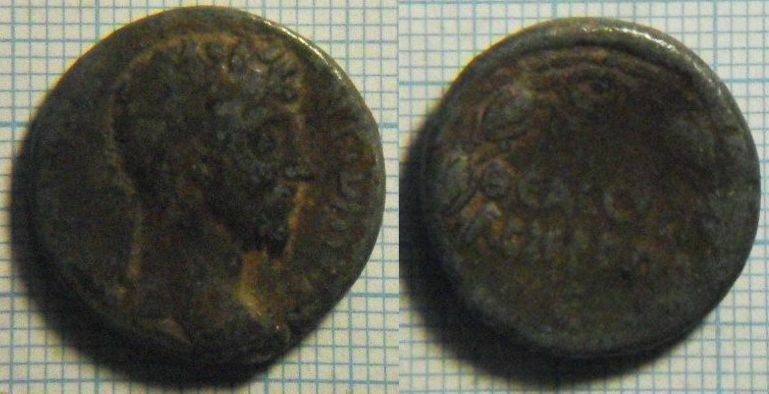 Marcus Aurelius, AE20 of Hieropolis, Syria. Radiate head of Marcus Aurelius right / ΘEOC CYΡIAC IEΡOΠO in three lines within wreath. (Star over gamma below?). Butcher 36; Paris 1685. Sujet: Re: Marc aurele Hieropolis ?